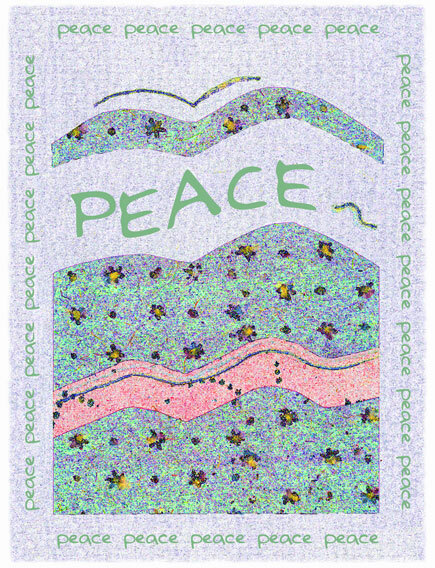 My card design for this year. 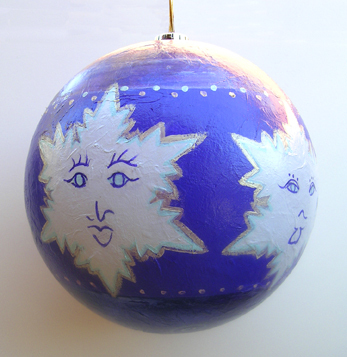 Here are two views of the large, 8″ ornament, I created for the Arts Council of Kern Holiday Art Shop. 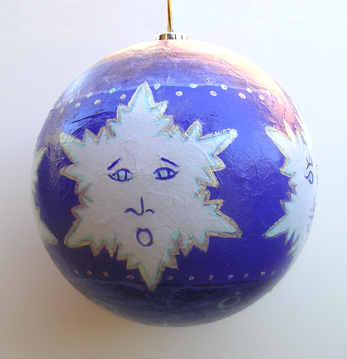 The sphere was first covered with mulberry paper, which also created a textured surface. Then it was painted with acrylics. I had some great iridescent paint from Daniel Smith for the highlights. 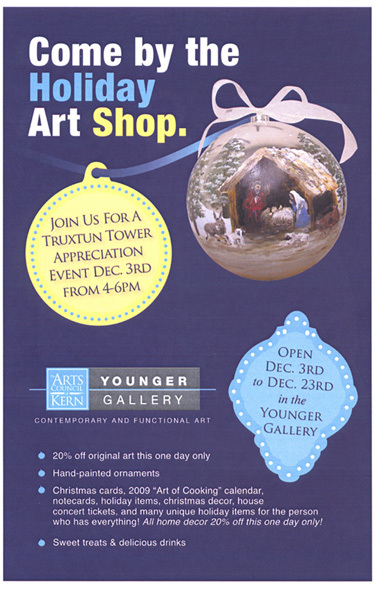 The Younger Gallery has a Holiday Art Shop opening tomorrow evening, December 3, 2008, from 4-6 p.m. with refreshments served. The shop features: the current show by Joseph Yuhasz; other original art; hand-painted ornaments by Kern County artists; notecards; the 2009 “Art of Cooking” calendar; and many other unique holiday items. I contributed several ornaments, plus copies of my booklet, A Fine Masquerade, are available. Eve Laeger’s beautiful notecards are also displayed. A percentage of sales supports the Arts Council of Kern.